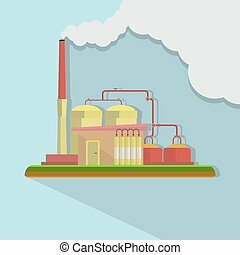 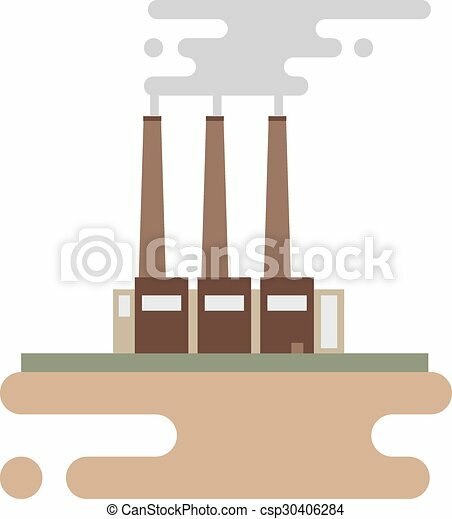 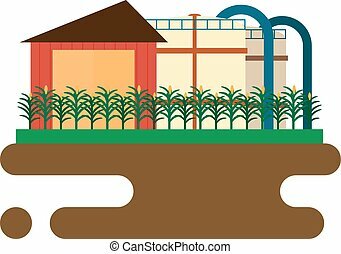 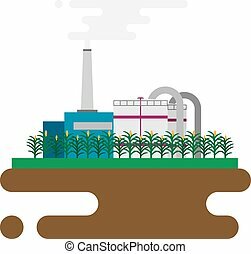 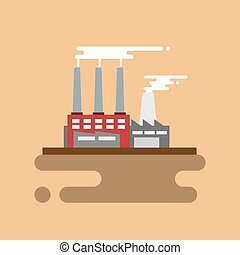 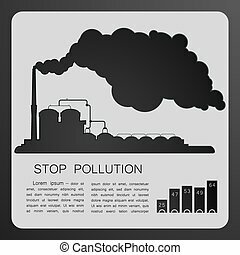 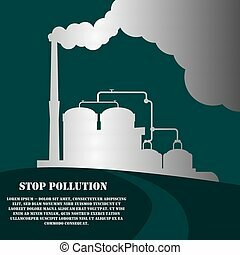 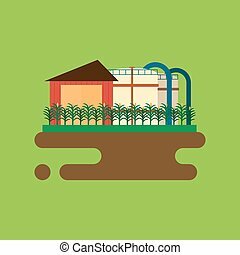 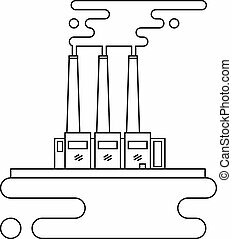 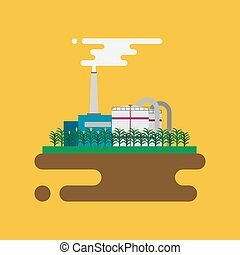 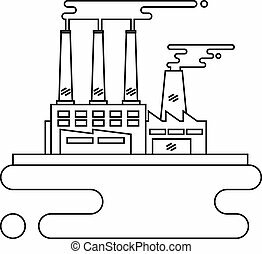 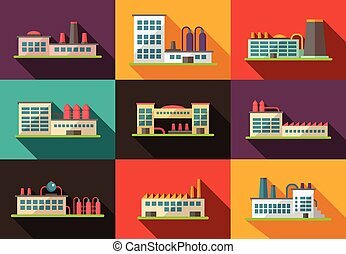 Concept of industrial factory buildings flat design style. 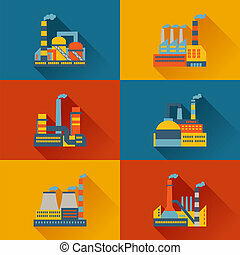 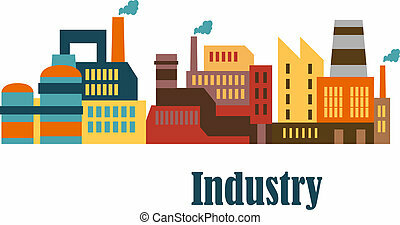 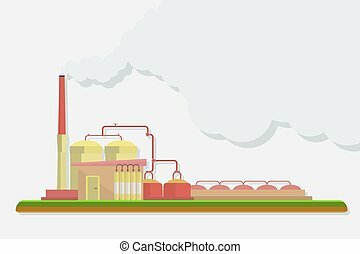 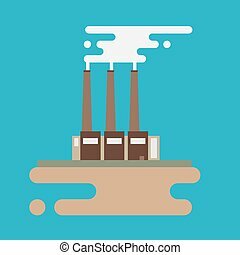 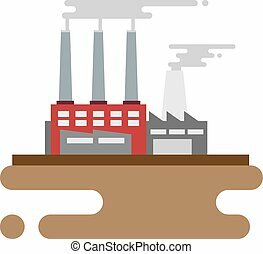 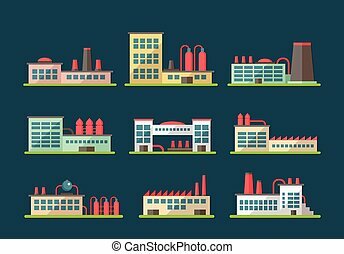 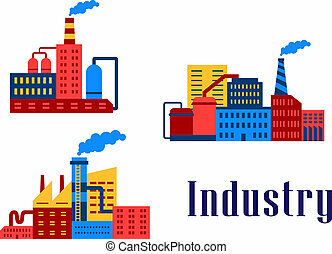 Industrial factory buildings icons set in flat design style. 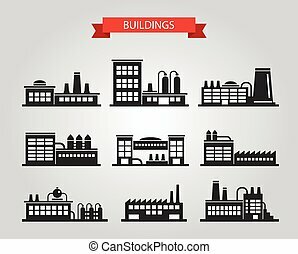 Modern industrial flat buildings set. 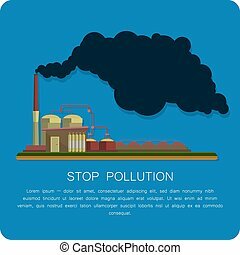 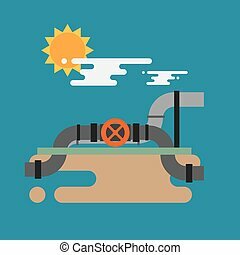 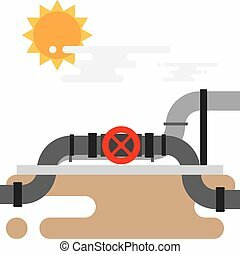 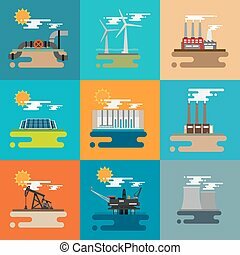 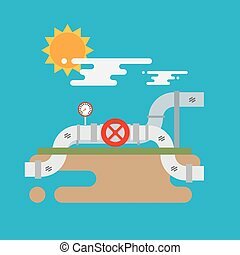 Pipeline, Wind power, Factory, Sun power, Hydroelectric, Oil, Nuclear plant.